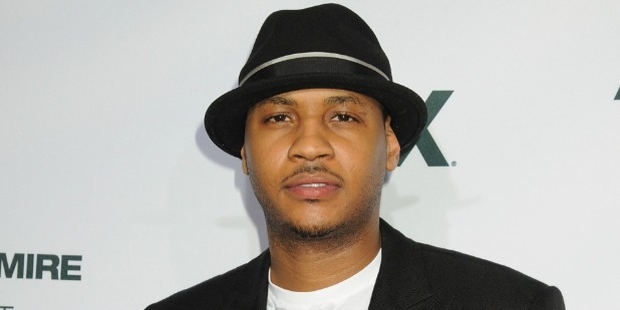 Carmelo Kyam Anthony is an all star Basketball player for the New York Knicks. A double Olympic gold medalist, Anthony has established several path breaking records in the NBA and was one of the leagues top scorers in 2003. Nicknamed “Melo’ Anthony is the only player in NBA history to record 62 points in a single game. Anthony derives his inspiration from his mother who never gave up despite hardships after the demise of Anthony’s father. Anthony was two years old when his father passed away. 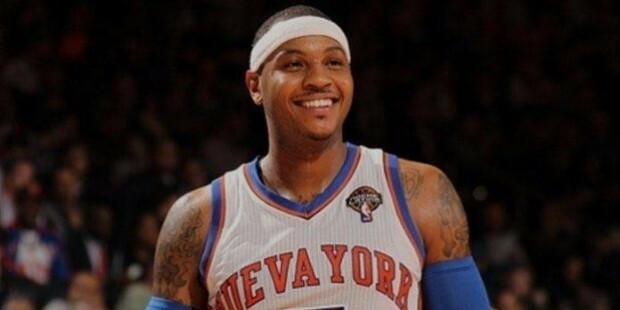 Carmelo Kyam Anthony was born on 29th May 1984, in Brooklyn New York. He has three siblings. His father died of liver cancer when he was two-years old. 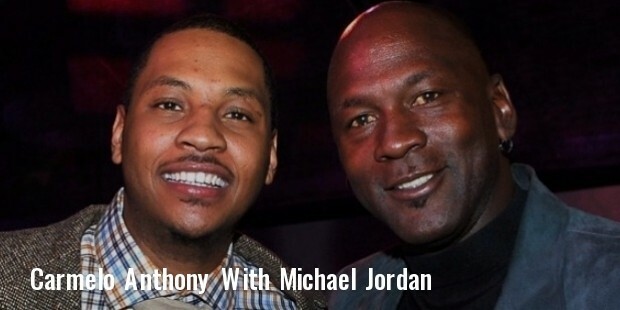 His mother, Mary Anthony worked as a housekeeper to fund Carmelo’s school education. Carmelo worshipped his mother. Her perseverance inspired Carmelo to strive for a better life. Carmelo studied at the left Towson Catholic School. He shifted to Oak Hill Academy. He did well in his academics. He excelled in basketball. Carmelo was the topmost high school basketball player in the entire country. Carmelo played for Syracuse and led the Orangemen to their first victory in the NCAA finals of 2003. Anthony’s NBA career commenced with a drafting into the Denver nuggets in 2003. In his rookie season, he became the second youngest player to score 30 points in a single game. In 2011 Anthony was transferred to the New York Knicks. He plays for them since then. Carmelo Anthony was a godsend for the New York Knicks, as one of their highest scoring players ever; his prowess rejuvenated the Knicks franchise which is yet to win an NBA title. Anthony has two Olympic gold to his credit having represented the USA in the summer Olympics of 2004, 2008 and 2012. Anthony successfully led the Denver Nuggets to their first conference finals in 2009. In 2006, he was named ‘USA Basketball Male Athlete of the Year’. He was NBAs highest scoring champion in 2013 with an all time high of 50 points against Miami, he became the first player in NBA history to do so. 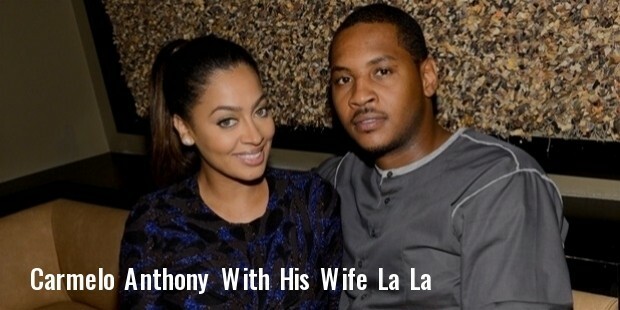 Carmelo Anthony resides in NewYork’s Upper West side with his wide Alani ‘la la’ Vazquez. The couple got married on 10th July 2010. They have a son Kiyan Carmelo Anthony. While in Denver, Anthony was involved in various charity works for underprivileged children. He once made an impressive contribution of 1.5 million dollars to the living classrooms foundation, an NGO working for the benefit of children’s education. Anthony’s skills led him to be cited as player of the year several times in High School, College and the NBA. In 2001 he was named “Baltimore Catholic League Player of the Year”. Anthony was ranked by Hoopscoop as the nation’s “most valuable high school senior player’’ in 2002. He has been named “NBA conference player of the month” several times over his seasonal career as well as an “NBA All star” eight times in a row. By 2102 he was named “McDonalds All American”. His all time career high established an NBA record of 62 points in a single game against the Charlotte Bobcats on 24thJan 2014.